This week's post is an update from the suburbs of South Jersey near Philadelphia. 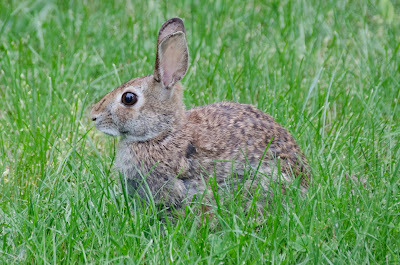 There are lots of rabbits here, hopping on lawns and eating grass. Click to enlarge. 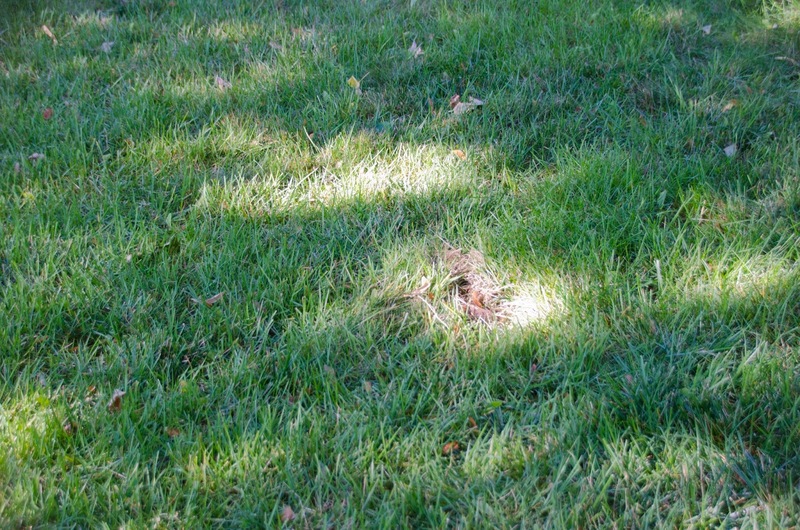 Two days ago I noticed a bare spot on a lawn, bare soil with a shallow hole at one end, and I wondered what it was. The next day I saw a rabbit in that spot with its head in the hole. As I watched, the rabbit hopped around the lawn and gathered mouthful after mouthful of dry grass, which it carried to the spot and arranged to its liking. A nest! It's a nest that is very hard to see, even if you know it's there. In this photo it is in the lower patch of sunlight. Note the nicely constructed grass arch over the doorway. Yesterday there was just grass inside. I cautiously inserted a finger today and felt a soft lining of fur. 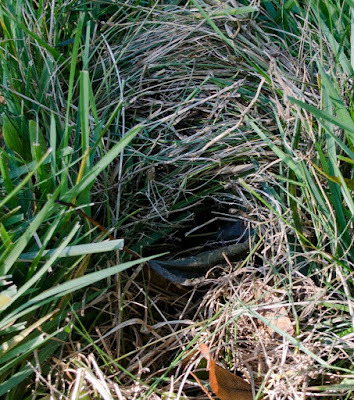 I've read that female rabbits build their nests a few days to a few hours before giving birth and that adding the fur lining is the last step. 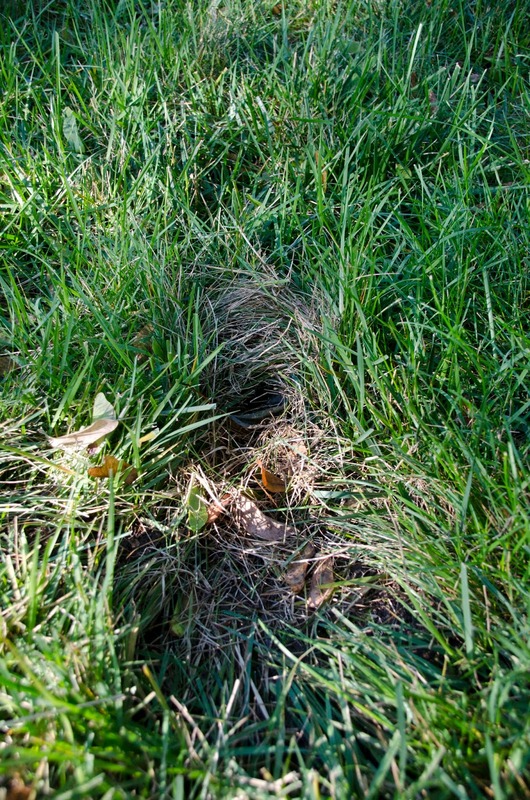 Mother rabbits don't sit on their nests; they visit to nurse the babies in the morning and evening. So I can peek during the day without disturbing. Watch this spot. Hopefully there will be baby bunny photos in a few weeks.